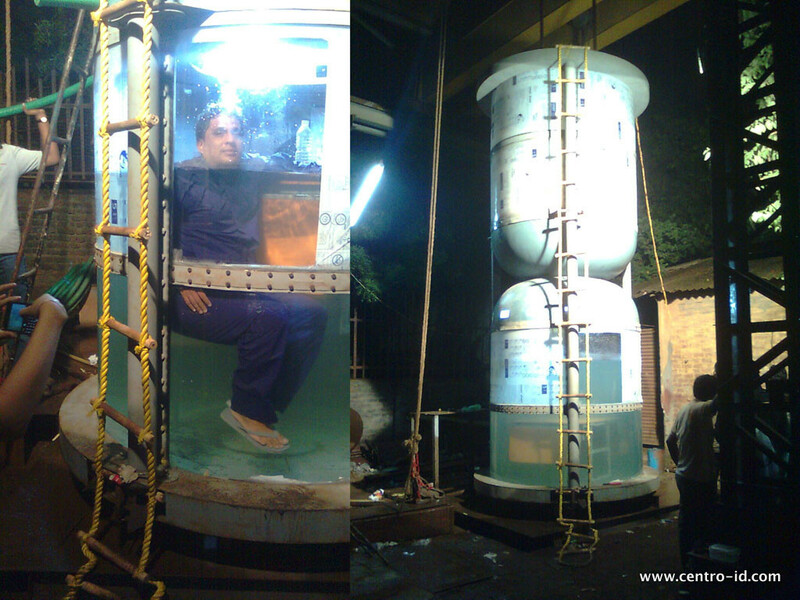 For Greenpeace – we have designed and fabricated a 20 feet high hour glass. The concept is we had put 4 tons of ice on the top compartment and as it melts it comes down to the bottom compartment filling it in 7 days propaganda, where the Greenpeace team would be locked. As water rises the team gets submerged in to water – showing the importance of Ice glaciers melting and the urgency to take measures to protect the environment. 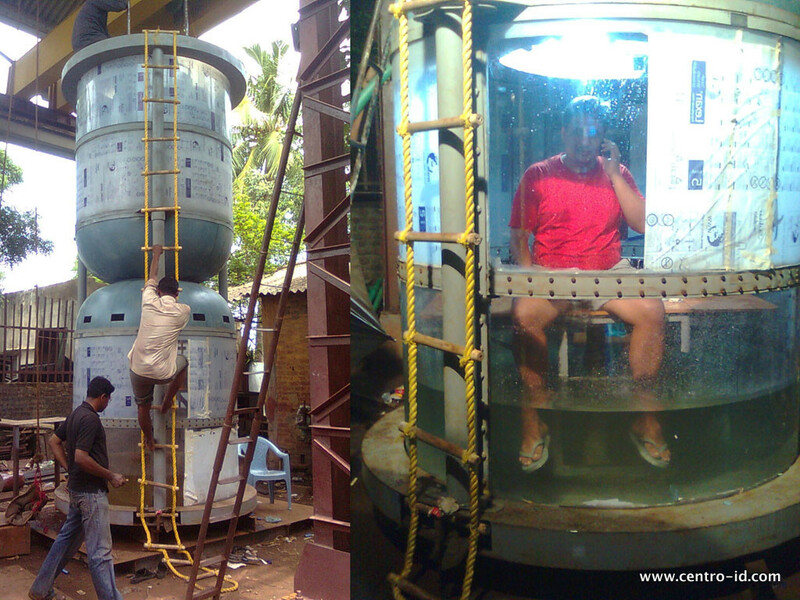 Pictures of the product being fabricated.. 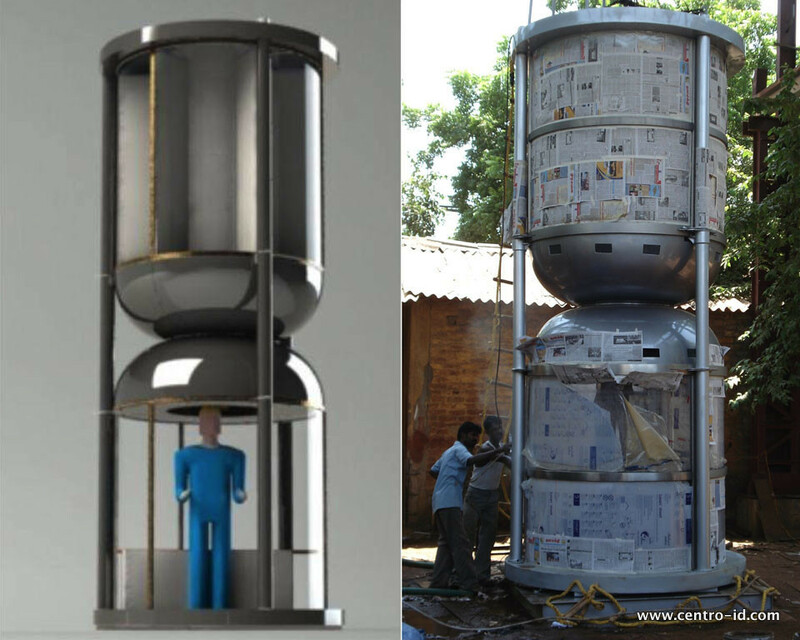 Product – tested before being shipped in the container.